Like romanticized landscapes in postcards of Niagara Falls, silver gelatin prints of Yosemite, and tales of adventure in remote jungles in Africa, we have very similar methods in beautifying the human form. My project, Constructed Paradise, employs mannequins as a surrogate for mankind. Like the myth of a purely pristine wilderness, mannequins represent unattainable physical perfection in an unblemished human form. 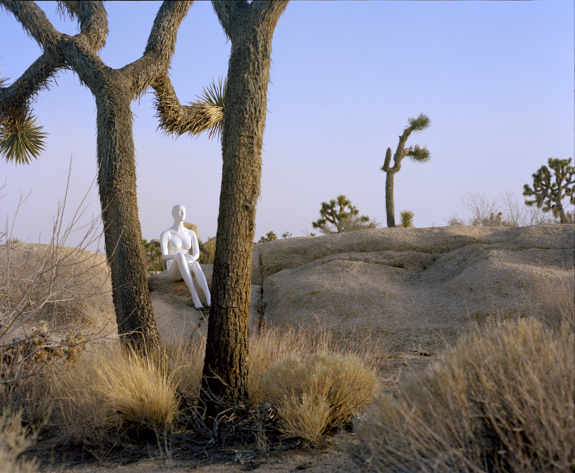 Embedded in both the Wilderness and the mannequin is an illusion of purity and perfection. There is a disconnect between the human world and the non-human world. The struggle to understand how we as humans are compelled to coexist with nature today holds subjective but urgent recognition.